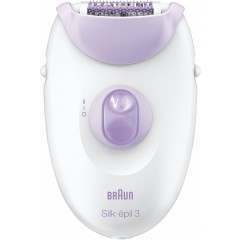 Braun have a high quality range of ladies hair removal products and shavers for silky smooth pins and to remove unwanted body hair, including on the face. Their range spans from wet & dry epilators & lady shavers, to bikini trimmers and the world’s first combination of facial epilator and cleansing brush. The Braun hair care range tackles top hair issues such as frizz and static, with the Satin-Hair styling tools letting you indulge in style, without the worry of damaging your hair. All styling tools are designed to protect your hair as you style, providing you with shiny, smooth hair each time.